Hoofball Fever has always resonated in Equestria. But now, every big city in Equestria, including Ponyville, is holding a hoofball league of their own! The top two teams from each city then gather together to participate in the first ever Equestrian Champions League! It's going to be intense 5 on 5 action as ponies go out to seek glory and wealth in winning the first ever Equestria Champions League! Ponies from all across Equestria are going to partake in what will become Equestria's national past-time! In Ponyville, Applejack calls upon her family, while Rainbow Dash recruits her friends, each having their own competitive spirit and skill that will hopefully push them all the way to victory! Credit to k-night-windfor the cover art! The Huebirds are mystical creatures from the vast expanses of the known world. These birds come in many hues from yellow to pink! While all huebirds have short wings and stick-like feet, the Huebirds are a resilient species. Much of their ability to survive and proliferate is derived from the magic of happiness that exuberates from their very core! I got the image from Askthehuebird on Tumblr. Full credit goes to them for the cover art! In an effort to find her calling in life and get her cutie mark, Sweetie Belle calls upon Fluttershy to help her learn how to sing. Meanwhile, Rarity and the Pony Tones are growing in fame. At one of their more recent performances, a famed music critic praises their work, inviting them to the 5th annual Equestrian Barbershop Singers Competition. The Pony Tones have already shocked the town once with the "Filli Vanilli" fiasco. It's time for them to take it to the Equestrian level. Full credit goes to Mrcbleck for this amazing cover art! Welcome to Fantasia: Equestria! In this fimfic, I will feature a classical piece and I'll try my best to make the piece come alive with a one-shot story from the MLP universe. 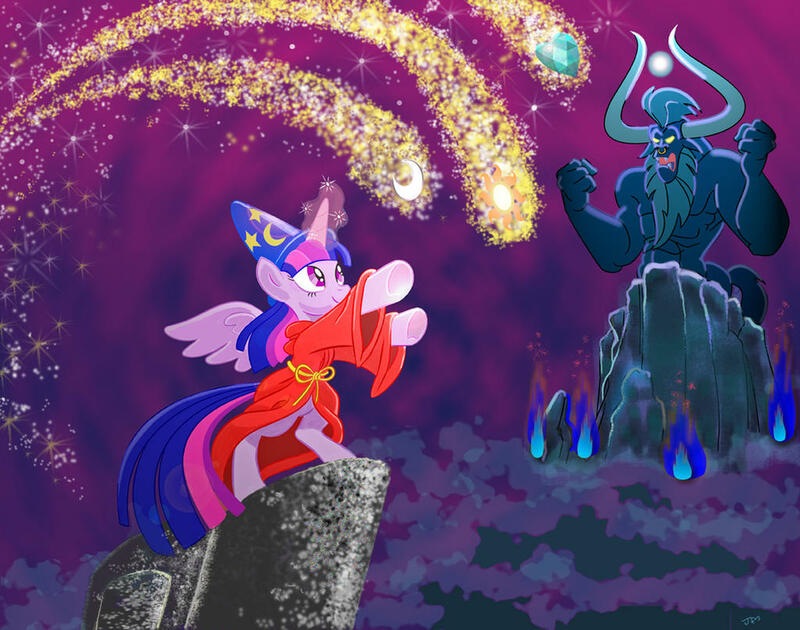 It's a Disney's Fantasia of sorts, but with MLP! I highly suggest you read the chapter with the music I provided; I tried my best to fit the words with the music as it progressed. Since classical pieces can be divided into movements, some stories will be divided into parts to reflect the transitions. Thanks to Toonicorn for allowing me to use their pic as cover art! Carrot Cake finally gets the chance to tell Cup Cake how he feels! But some weasels are on a date too, and it'll be up to Carrot Cake to not only tell Cup Cake how he feels as suavely as he can, but to also help the weasels enjoy their dates too! MLP x Rhythm Heaven Fever Crossover! Moving from one place to another isn't easy. In a way, you're starting a new game where you have to settle yourself in a new town and make the best of what you've got. For Button Mash, such a new game changes his life forever as he has to start a whole life anew as he moves from Manehattan to Ponyville.